This elegant home in coveted Sunnyside was sold by Jesse Davies! Beautifully designed w/ a neutral colour palette, wide plank oak hardwood, classic white custom kitchen & stone feature wall. The kitchen is any chef’s delight - featuring stainless steel appliances, pull-out coffee station, built-in pantry, appliance garage and vast amounts of counter space & an island bar for entertaining. Open living space is light & bright w/ great views. Master suite has vaulted ceilings & a spectacular city view. Featuring spa-inspired ensuite w/ white marble, large glass shower plus custom built closeting. Large second bedroom w/ private ensuite & walk-in closet. Lower level w/ large rec room, 3rd bedrm & full bath. Beautiful outdoor space - fully landscaped w/ steel fence & gate, covered veranda! Newly renovated incl Hardie Board, newer roof, furnace & HWT, dbl garage, many new windows. Great location! 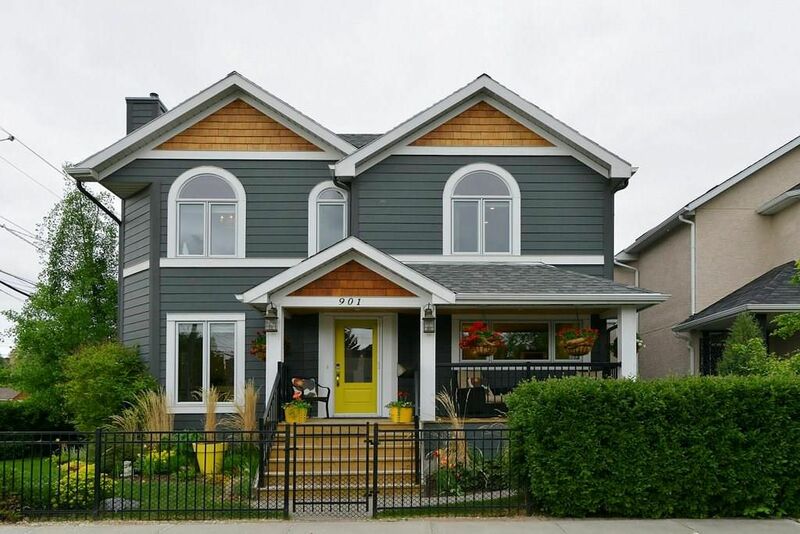 Close to Sunnyside School, cTrain Station, shops of Kensington, McHugh Bluff off leash park & downtown.